Click here to visit our Business Sponsors Page! 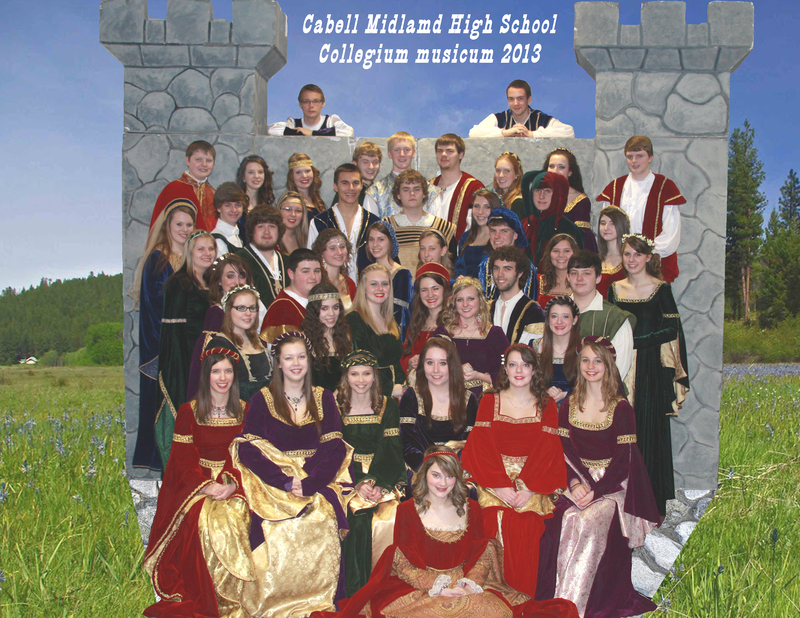 Click here for online fundraising, and to donate to Collegium musicum.Visit our Shopping Mall! For FREE Blank Staff Paper Click Here! 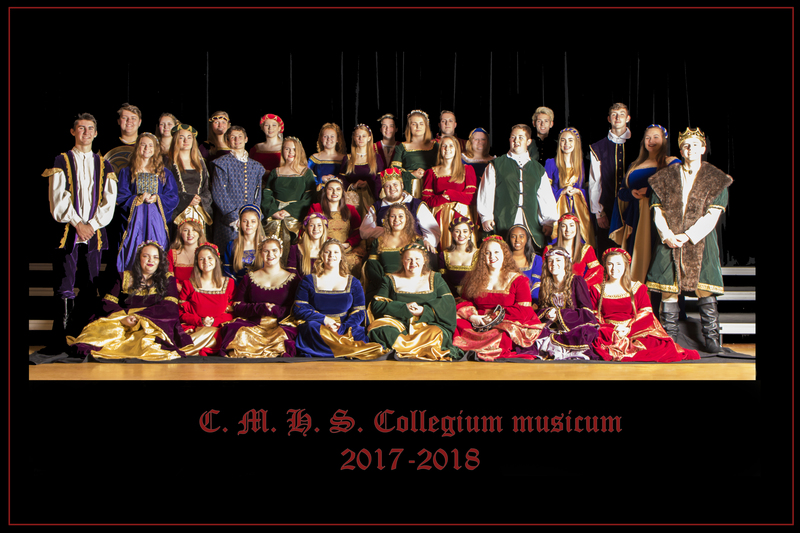 Collegium musicum is a Renaissance-style costumed ensemble of high school singers in grades 9 - 12 in Ona, WV. 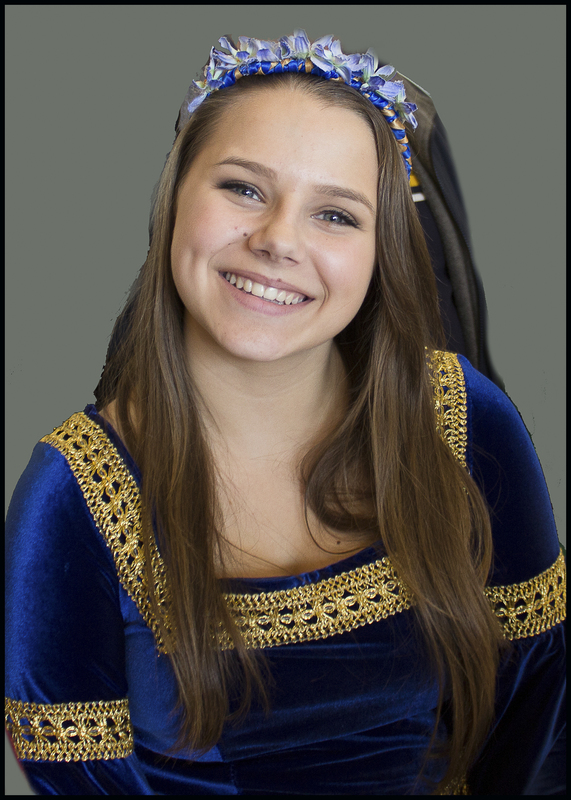 The ensemble is directed by Ed Harkless, the original founder of the group and 34 year veteran teacher in the Cabell County School System. 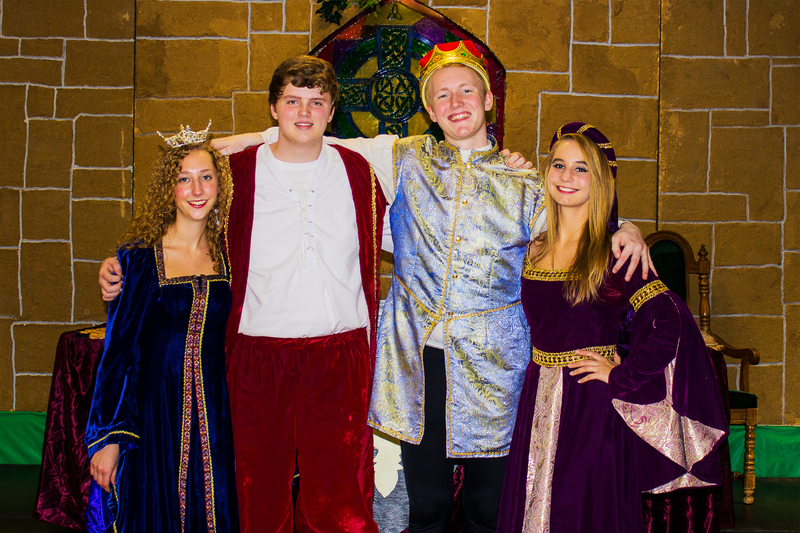 The students are selected by competitive audition in early spring each year during scheduling for the next school year. Each year, these singers present up to 40 programs to the community. 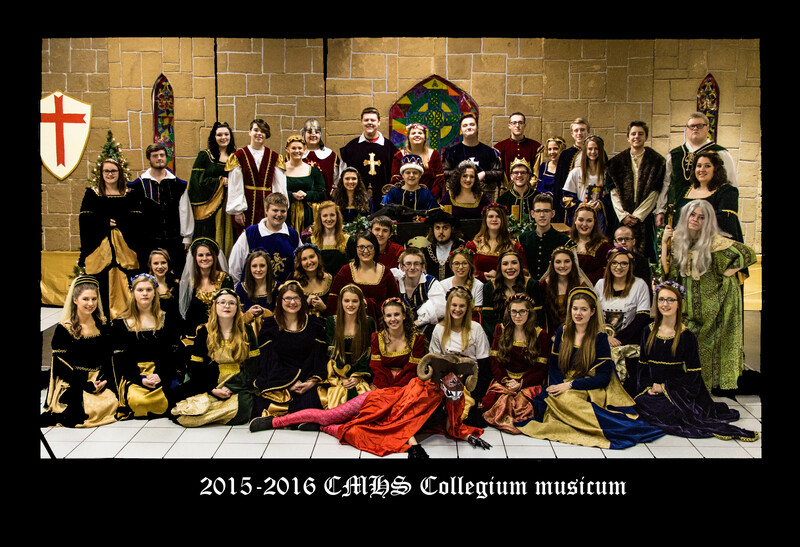 Collegium musicum presents the Annual Christmas Madrigal Dinner on the second full week-end in December each year. Collegium musicum first toured Ireland in April 2006, performing in St. Patrick's Cathedral, Dublin, Blarney Castle and Knappogue Castle and returned to Ireland in April of 2011 performing a joint concert with Mr. Timothy Waugh at Christchurch Cathedral, Dublin and at Bunratty Castle, Shannon and again in 2014 to visit and perform at Christ Church Cathedral, Dublin on St. Patrick's Day and Bunratty Castle. 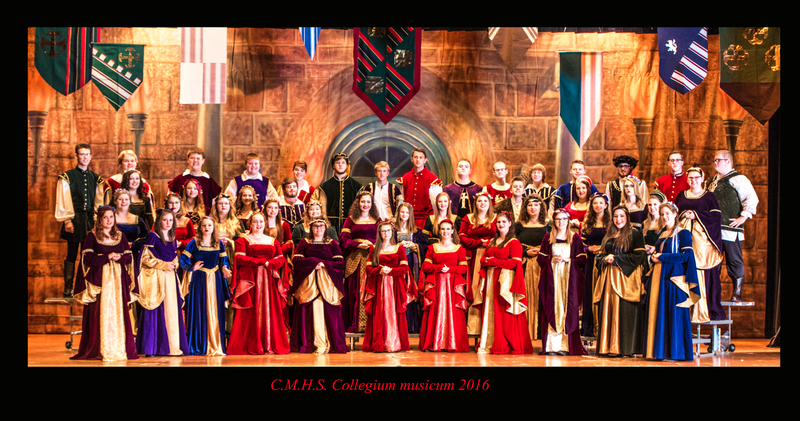 Collegium musicum traveled to New York City in March 2016 performing at Easton Presbyterian Church, Easton, PA and on the portico of St. Paul's Church. Visit our photo gallery for slide shows of our events. 2014 Marshall University Choral Festival - perfect scores from all three adjudicators! 2014 - WV ARTS ALIVE Celebration - selected to represent choral music in WV! 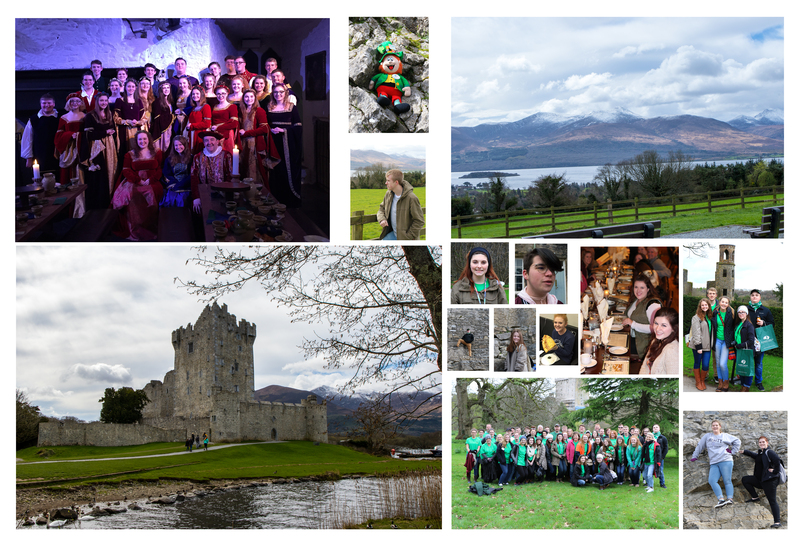 2014 - Ireland Tour - accepted to present performnces at Christchurch Cathedral, Dublin and Bunratty Castle. Shannon. 2012- Damon Noel selected to attend WV Governor's School for the Arts! 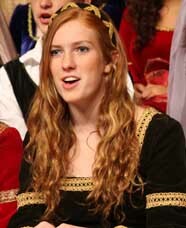 2011 - Betsy Pettit selected to attend WV Governor's School for the Arts! 2009 - Marshall University Choir Invitational perfect scores all judges!